Enjoy great views of the Petronas Twin Towers in this beautifully landscaped oasis in the city center. 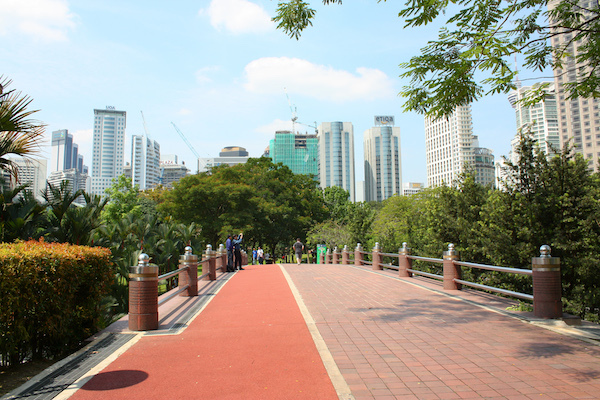 Also known as Kuala Lumpur City Park, KLCC Park features a 1.3 km rubberized jogging track that uses a special surface called EPDM. Gorgeous gardens, lake with fountain, and good facilities. Add-On: Petronas Twin Towers Trail.